Don't miss this great sale. It's loaded with fun unique items, fantastic furniture, some Mid Century pieces. Living room, office stuffed full, bedroom sets, corner curio, book shelves, recliners, sofa, vintage console stereo, dining chairs, kitchen with great cookwares, china & glassware. 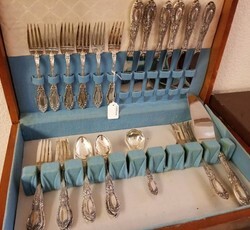 5 flatware sets, fine sterling silver, large den full of furniture, bar stools & books.. Medical supplies galore. Large outdoor plants, gardening supplies & tools. Huge selection of pesticides. Washer, dryer & refrigerator. Even jewelry and a piano. A must see sale.